View More In Blenders - Page 9. 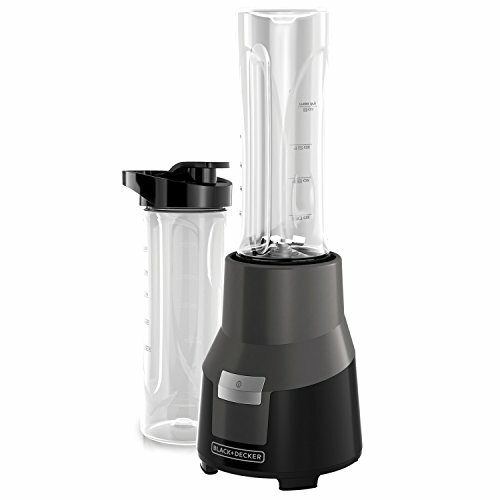 Create personalized blended drinks with the BLACK+DECKER FusionBlade Personal Blender. Perfect for single servings, the blender comes with a pair of 20oz jars with twist-on travel lids to keep your beverages in place no matter where you go. The powerful stainless steel FusionBlade makes customized beverages for any occasion. It’s designed to crush ice and blend foods and liquids evenly so you can mix some drinks for a night in or create a protein shake to take to the gym.